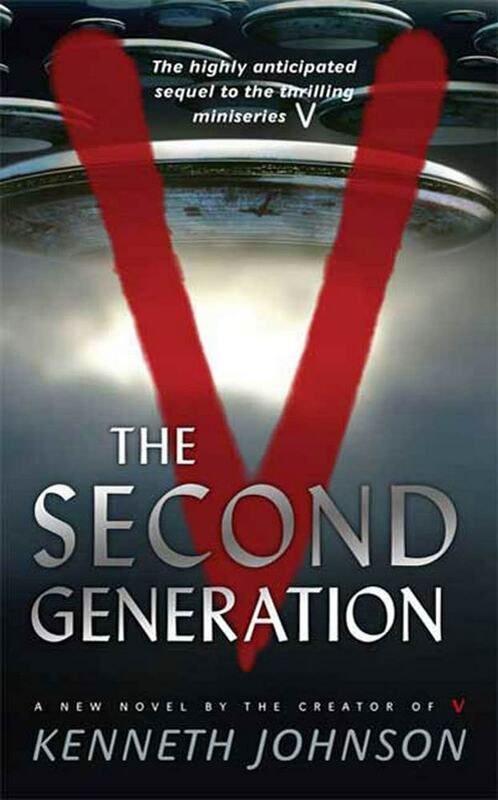 Millions thrilled to Kenneth Johnson's hugely popular mini-series "V," an action filled drama of alien invasion, a TV event that was also a number one bestselling novel. Now, in a new novel based on the sequel miniseries currently being developed for TV, the tension between The Visitors and Earth's human inhabitants has reached a boiling point. The reptilian Visitors, who cleverly portray themselves as Earth's protectors, are anything but. Our oceans are being drained in order to fuel the aliens' motherships, and our scientists are treated like wanted criminals. And they have pods of preserved humans destined for even more sinister purposes. But hope is not lost. A small, yet resourceful Resistance risks everything to undermine the Visitors' stranglehold on Earth's people. Despite their heroic efforts, without more help they will be crushed by the Visitors and their human militia. Just when Earth's doom seems inevitable, agents of an alien civilization from another planet arrive in answer to humanity's desperate call for help. But can these other aliens be trusted? Or might we defeat one alien overlord, only to be delivered into the hands of another, equally as oppressive? Time is running out for the Resistance, for when the Visitors' Leader arrives, the aliens will complete their mission on Earth, with devastating consequences for all life on the planet. KENNETH JOHNSON is more than an author; he has written, directed and produced dozens of movies, television shows and mini-series including titles such as The Incredible Hulk, The Bionic Woman, and Alien Nation. In 1984, his television mini-series V hit the airwaves. It was hugely successful; it was the highest rated show on NBC for two and a half years and led to the creation of a regularly scheduled television show. Johnson has been nominated for both the Writers Guild and the Edgar Awards.